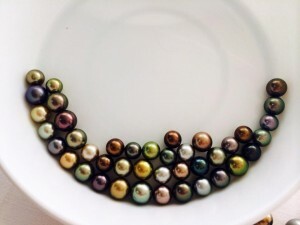 Highly prized for their lustrous array of colors, and farmed in partnership with local communities, Fiji pearls are unique in the world of precious gems. Out of the hundreds of thousands of visitors to Fiji each year, only about 20,000 or so make it to lovely little Savusavu, a town of less than 5,000 on Fiji’s second largest island of Vanua Levu. If Savusavu is “Fiji’s best kept secret,” the opportunity to visit J. 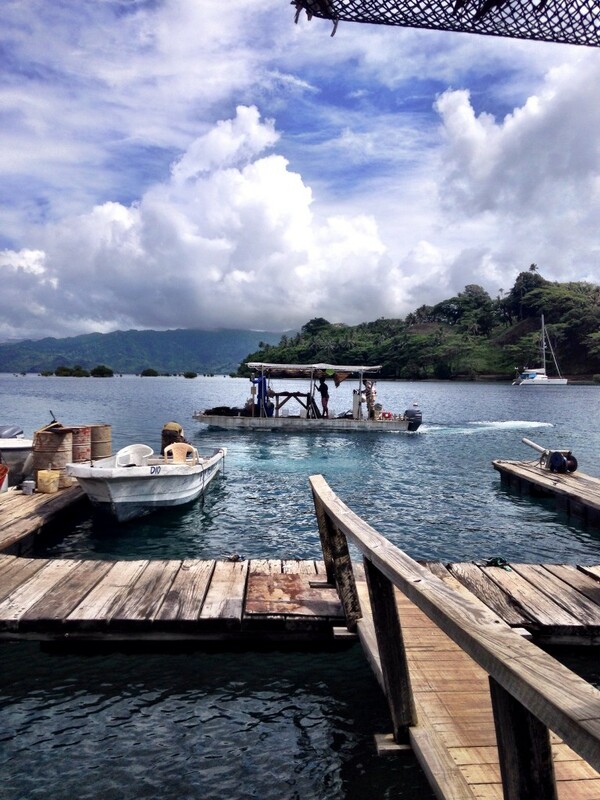 Hunter Pearls and see how Fiji pearls are farmed right in Savusavu Bay is another. J. 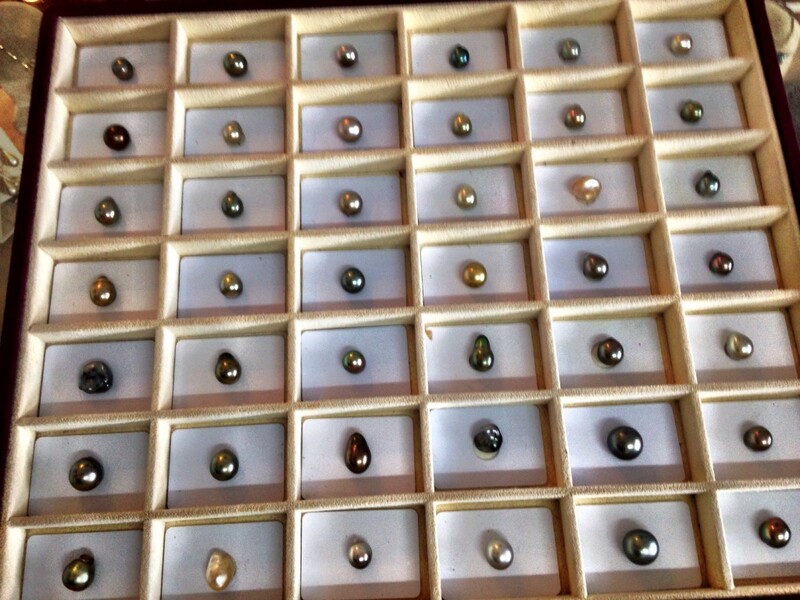 Hunter Pearls is a recent success story in the world of Fiji pearls. 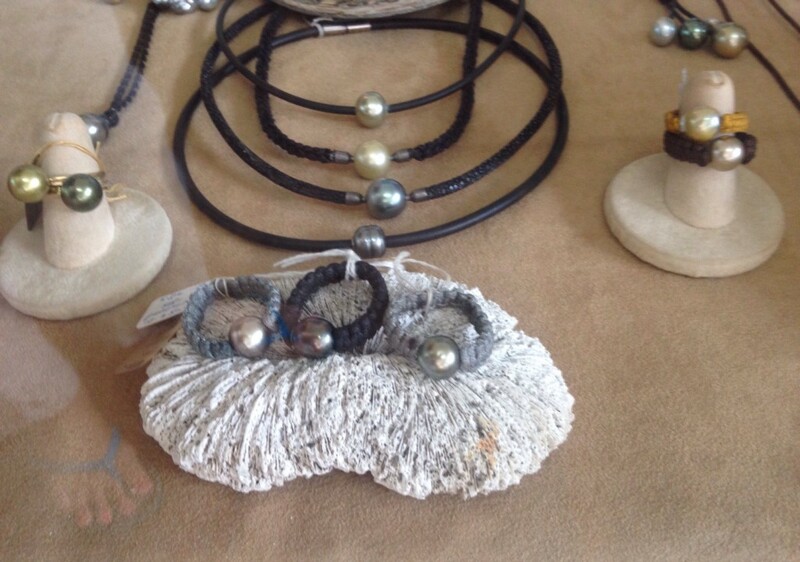 Since the 1960’s, Japanese pearl farmers have had a small presence in Fiji. 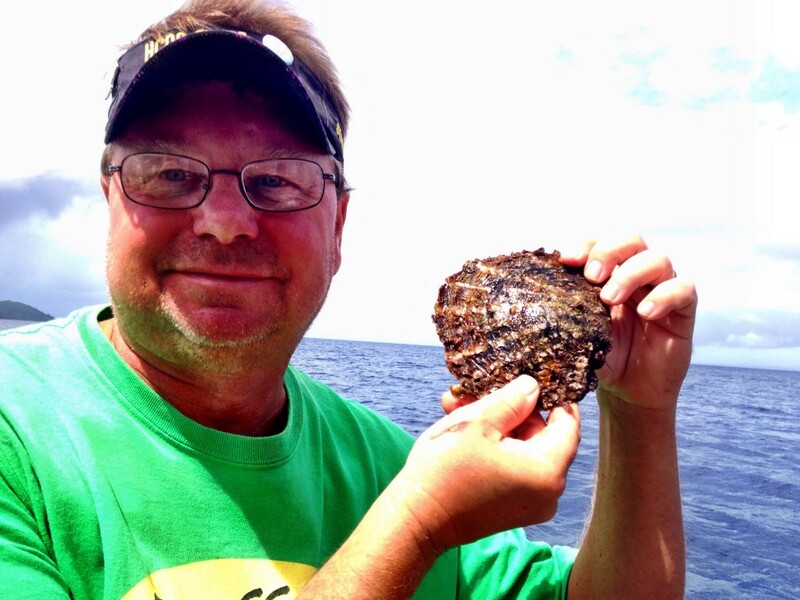 In 1999, marine biologist Justin Hunter returned from the United States to his hometown of Savusavu with innovative new ideas on how to resurrect and grow the pearl farming industry in Fiji. Justin’s vision was to enlist local village residents as partners in order to maintain the unspoiled natural environment and create economic opportunity. J. Hunter Pearls is located in an unassuming building across from their small pier on Savusavu Bay, with the main pearl farm located straight out from the pier. We were treated to a comprehensive presentation and then shuttled out in a small skiff to the farm. 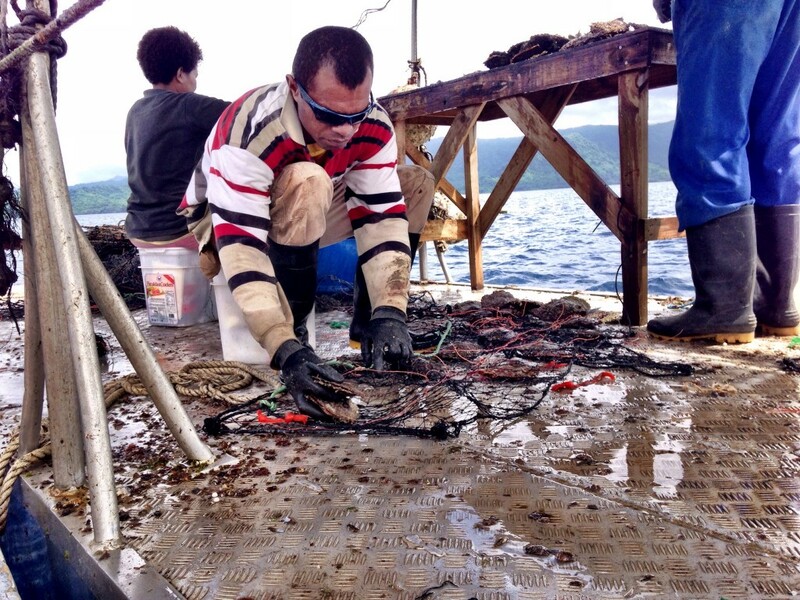 In the middle of Savusavu Bay, workers were cleaning and inspecting oysters amidst the buoys that marked their growing cages. It was at this point in our visit that we began to realize why Fiji pearls are so expensive. Not only is their color variety so unique, but the hands-on, organic aspects of their cultivation and care add to their overall finished value. Fiji pearls still have a Japanese connection: J. Hunter Pearls employs expert technicians who come from Japan to implant the oysters with small beads (which interestingly, come from the Mississippi River). The oyster then forms the pearl around the bead, which it views as an irritant, by secreting lining material around it. 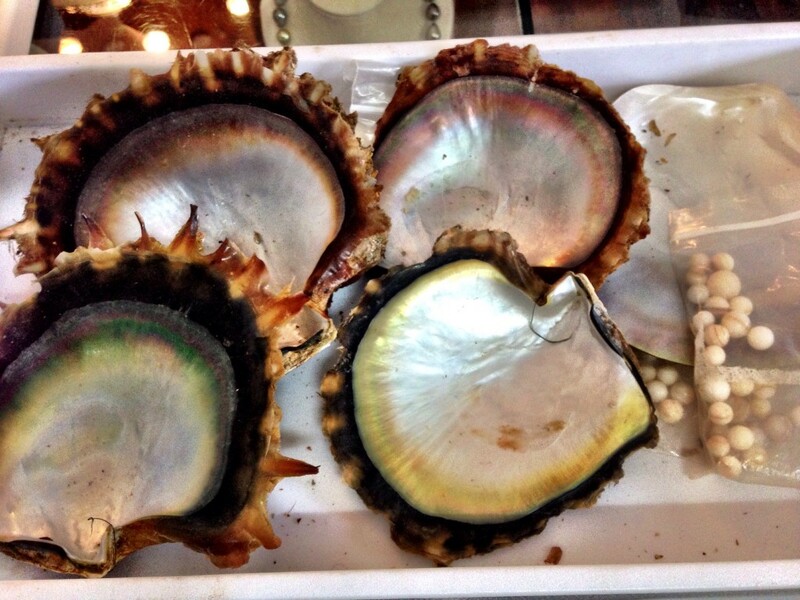 The color of the pearl is determined by the color of the lining just inside the black lip of the oyster. The entire process takes about 18 months, and a producing oyster can yield 3-4 pearls on average through its lifespan. 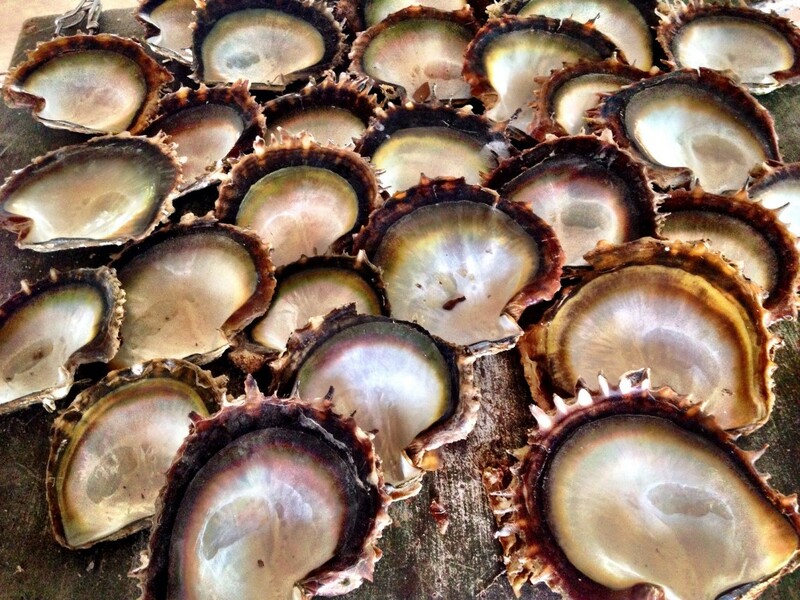 Oyster shells post-harvest – imagine the color of the pearl from each one! The oyster may reject the bead, resulting in no pearl. The oyster may also grow a pearl which has no nucleus, called a keshi pearl. 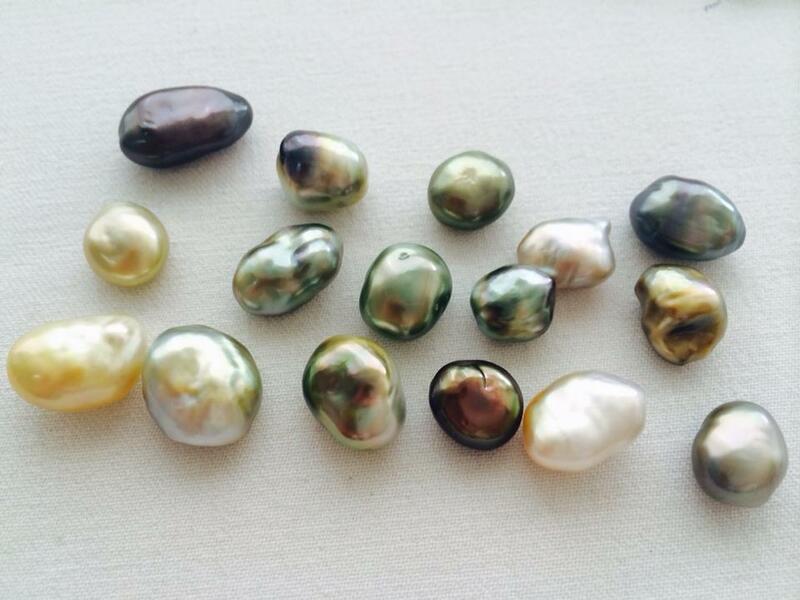 Fiji pearls can be single color or variegated and striated. J. 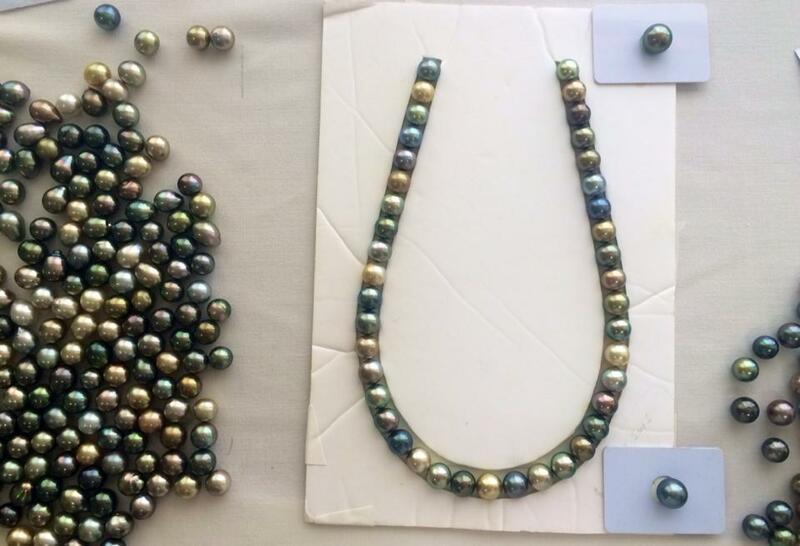 Hunter Pearls come in two different color palettes: warm – champagne, chocolate, copper, cranberry, gold and pistachio, and cool – deep blues and greens. Overtones can include coppery-gold, deep sapphire, dusty rose and turquoise. All are stunningly beautiful. Pearl farming isn’t without its hazards. Young oysters are fragile and prone to predators. As well, just as with land farming, natural disasters such as cyclones or environmental anomalies threaten yields. This video from three years ago shows the effects and aftermath of a cyclone. Fiji pearls are in high demand in European markets, most notably Austria, Switzerland and Germany. J. Hunter Pearls currently exports about 70-80% of its pearls to European partners, and would like to expand in other markets. Back in the showroom, we oohed and ahhed over the Fiji pearls which had been crafted into a variety of stunning jewelry pieces. Necklaces, bracelets, rings and earrings were tempting, as well as carved mother of pearl pieces made from the shells. Changes are afoot in Savusavu Bay with the approval of a high-end resort project on the foreign investor-owned island adjacent to where the pearl farm is currently located. Of concern is the potential environmental impact the project will have which may disturb the fragile ecosystem the oysters require. We felt fortunate to have visited prior to any real work being done on this project. Sweet little Savusavu will be a different place once it has been completed. All the same, we plan to visit again, and you should, too, for a glimpse of the real Fiji and real Fiji pearls. 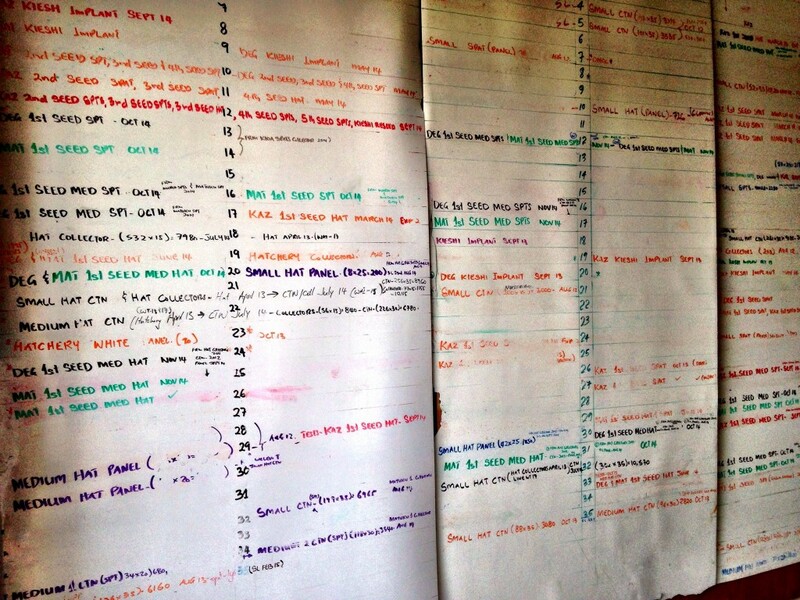 Oh wow – what astonishing colours! 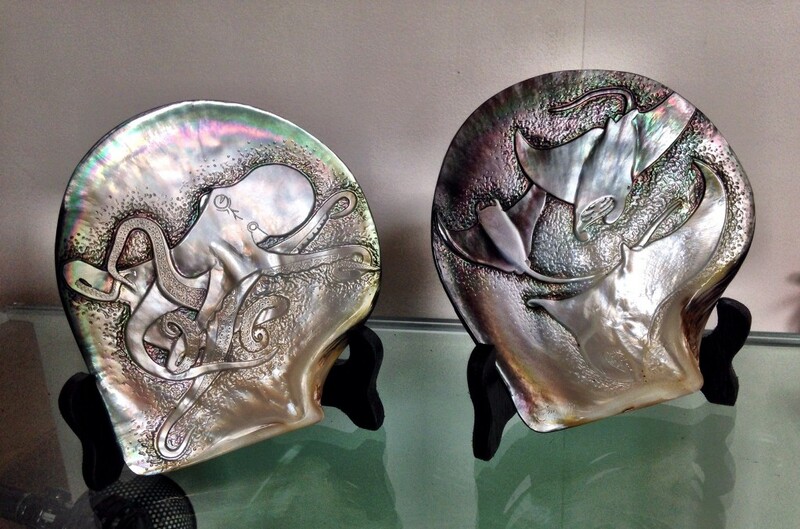 I did not know there was a pearl industry in Fiji. 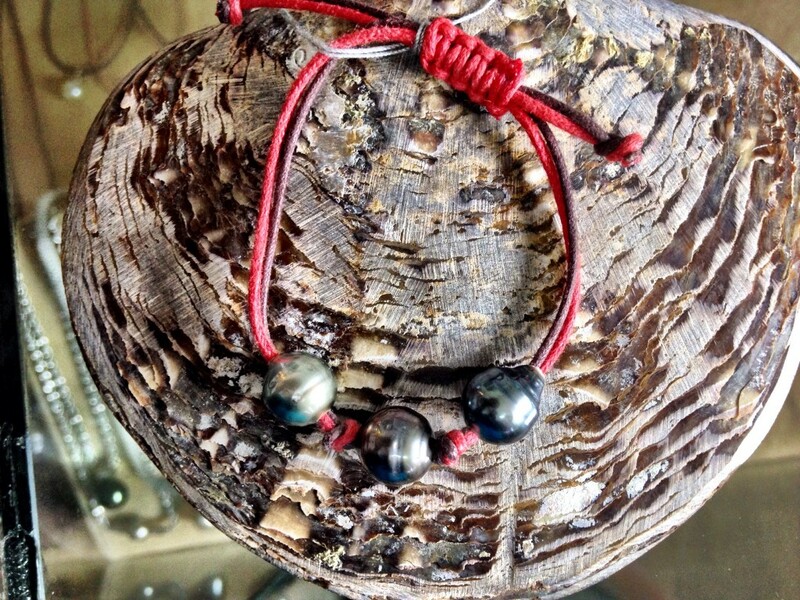 I do own a glorious blue Tahitian pearl in a pendant – I find coloured pealrls so much more interesting than white. Great post! What a fun tour, thanks for taking us to those warm waters and touring this amazing place! 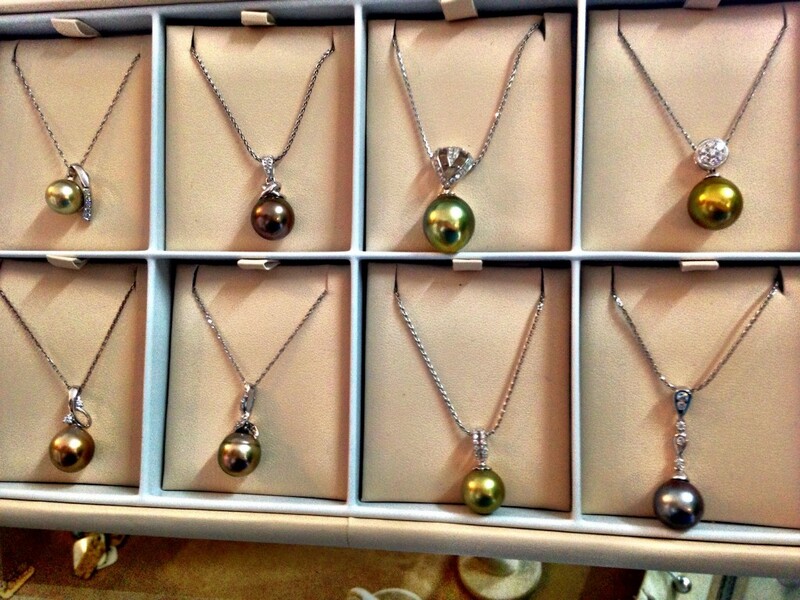 I didn’t know there were so many different colors of pearls, which one was your favorite? Hi Noel – We were amazed by the color range as well, but the one I liked the best was the pistachio green. Absolutely stunning and so unexpected in a pearl. I visited a pearl factory in Majorca but it seemed like much more of a commercial enterprise for cruise tourists. Yours looks like a great visit! 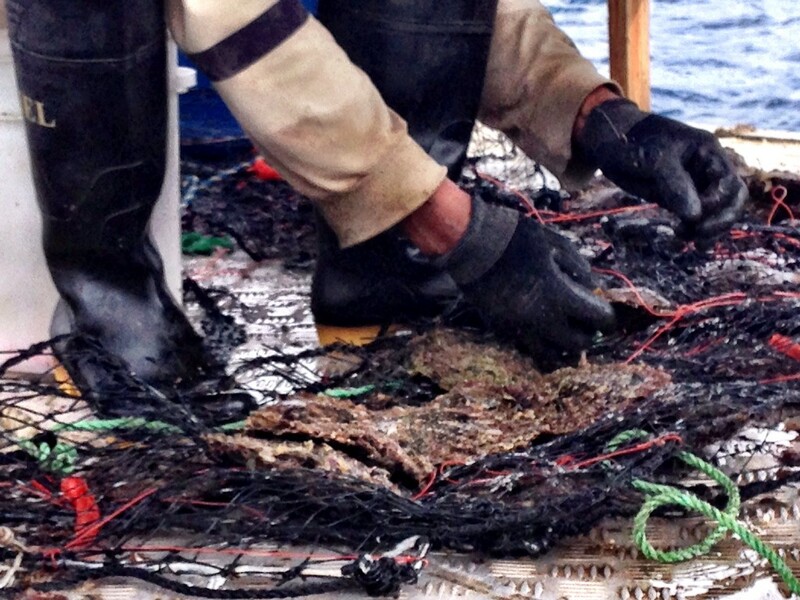 Hi Irene – Yes, it was really fun to go out on the water and see how the oysters were planted and handled. Very respectful and deliberate processes. What an interesting post! I just love pearls and gems and even took a beginner’s gemology course to learn more about grading, quality and other attributes. 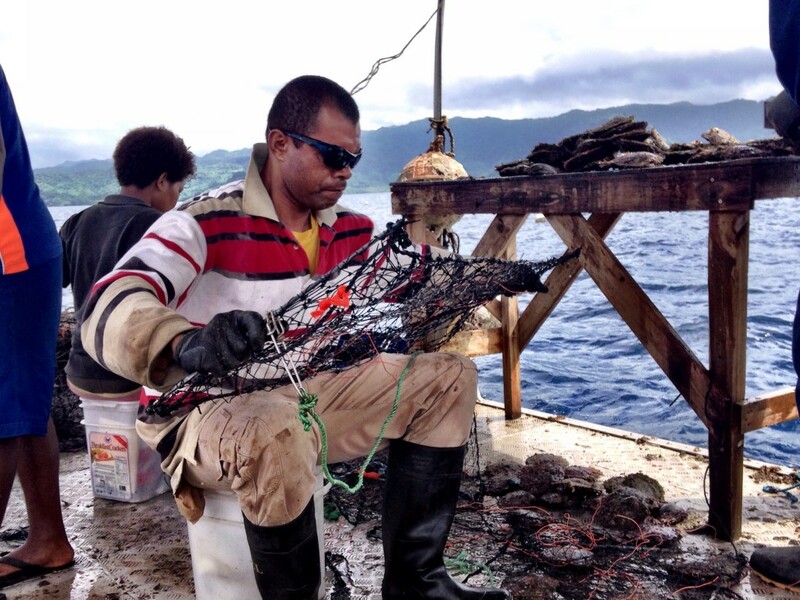 I’d love to visit Savusavu and experience the process firsthand but in the meantime you’ve given me more of an appreciation of the effort that goes into farming pearls in Fiji as well as the beauty. The range of colours is quite fantastic. I would never have associated pearls with Fiji…and what incredible pearls they have! Thanks you for such an informative post Betsy. What an amazing variety of colours! 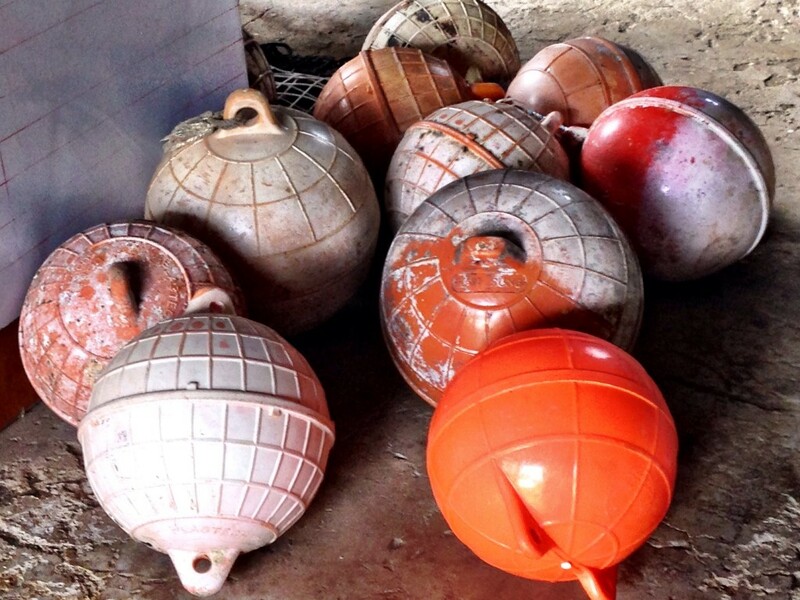 It’s good to see a traditional industry being carried on in a sustainable way. Hi Karen – It is indeed. We really admire their commitment and the product, of course, speaks for itself. Just love your photos they really tell the story so wonderfully. I had no idea such beautiful pearls came from Fiji. Thanks for the education. It’s amazing to me that simple oysters can produce beautiful pearls. I love the colorful ones, and it’s great this sustainable, environmentally friendly venture is providing work for the local Fijians. Hopefully it can continue! Wow – this whole story was breathtaking! Nature at its very best, a miracle. The pearls are magnificent. You share this story so beautifully – You have me sold on Fiji! What an amazing place. I’m not a big jewelry wearer, but I’d love to have that multi-coloured pearl necklace. It was interesting to read about harvesting pearls. It would so much cooler to actually see it. Hi Donna – The necklace is absolutely stunning in person. I think you’d enjoy the tour as much as we did. I have always pictured pearls in the traditional creams and maybe some pastels but, oh the colors! Thanks for sharing this very interesting post. I hope we get a chance to visit Fiji some day. Hi Billie – Once I saw the other colors, my preference for black took a back seat. But they’re all beautiful. Hi Carole – I was surprised to see and really liked the more casual feel of the leather bracelets and rings. This was really interesting. I had no idea that pearls came in so many different colours. Hi Cath – Neither did I. They are absolutely gorgeous. Hi there…. 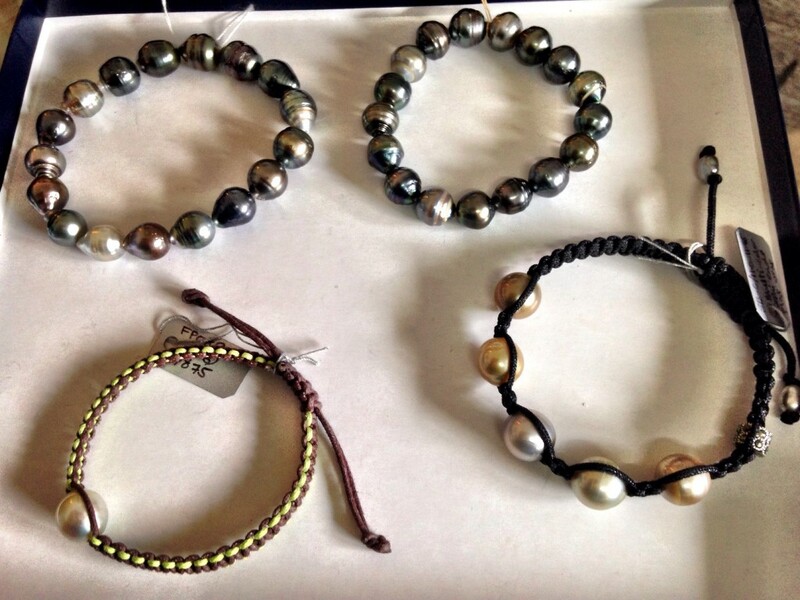 I was wondering where one might buy the pearl bracelets with cord on this page.